It is this time of year where we are so grateful for our families and friends. We can celebrate Christmas and see in the New Year surrounded by those we love and cherish. That being said it is also a time for many families to remember those who are not with them. Those who have been taken too soon or those who have passed away due to old age. I come from a very big extended family and have so many surrounding me but I still do not forget those who are missing. My uncle who sadly died far too young in a tragic accident and other members of the family gone to. It is not only family that I think about but those friends I have made over the years that have lost their battle. That battle with asthma which kills roughly 3 people every day. To me people don’t die from asthma, they are killed by asthma. Why do I think like this?? because no-one should suffer such a bad attack or have their asthma so poorly managed that their life is cut short and taken because of an asthma attack and often the consequences there of. When I spoke in Oxford at the first scientific meeting of AUKCAR in the PPI session, I closed rather emotionally saying that the centre would succeed in my eyes if after its first 5 years the number of people I personally knew who had died of asthma remained at 6. I am 28 (soon to be 29) and know 6 people who have died as a result of an asthma attack or the consequences of a poorly managed asthma attack. These 6 people all had asthma as a cause of death on their death certificate. This should never have been the case. Those 6 should still be living their life. Enjoying their family and friends as I am able to do. This is why I fight and volunteer for the Asthma UK Centre of Applied Research and Asthma UK to make sure everyone understands that asthma is so often mismanaged and poorly understood resulting in far too many hospital admissions and deaths. My first experience of someone dying from Asthma was 8 years ago and it sticks so vividly in my head the day I heard the news. When I was living in Winchester I was often a patient on Shawford Ward at the Royal Hampshire County Hospital. This was where I first met Jeanette and her family. Her family adopted me so too speak as my family were up in Scotland and not able to come and see me very often. Me and Jeanette spent about 3 weeks in the same bay in the ward and I got to know her very well. We became firm friends. She was much older than me. She had her own kids and grand children but we got on so well. She made that hospital stay so much easier. I was in hospital that admission for 13 weeks. Even once she was discharged her husband would drive her in to see me every week. Once I was discharged I would often go round to her house and watch DVD’s and have afternoon tea. Her husband was the most amazing baker. (He would bring his cakes into hospital for me!!). Jeanette’e health slowly declined as her asthma became harder to control and more infections caused lung damage. I moved back to Edinburgh but when down visiting friends I would always arrange to see Jeanette and her family. The last time I saw Jeanette I was so shocked. She was in hospital- on Shawford Ward and very poorly. Her breathing was so bad and they just could not get it under control. Due to such a long period of poorly controlled asthma her heart struggled and eventually her body could not cope and she salt died. They did so much for me and it was such a pleasure to be able to repay those visits with my own visits. The day I found out Jeanette died I was up in Edinburgh. I didnt tell anybody at first. I dent know how to. I almost couldn’t believe that she had died and it was because of asthma. Part of me was scared because I have asthma, I have poorly controlled asthma. I was asking myself could this be me, could I die? I could not make sense of what had happened. I was meant to be caddying for my step mum in a golf competition. I couldn’t focus. I forgot my golf shoes and had to buy new ones. I dealt with it the only way I knew how. I just didnt talk. When I don’t talk my step mum talks more and asks questions about why I am not talking- knowing something is wrong. I ended up snapping at her over something so small and insignificant I can’t remember what it was but i just came out with “Jeanette died and I don’t want to talk about it”. I don’t think I ever actually have spoken about it or how I felt. This is probably the most I have ever opened up about my first experience of someone I know dying from asthma. I draw comfort in knowing that Jeanette will have died with those around her who loved her but also in a hospital ward which to this day I can not praise highly enough. Shawford Ward in Royal Hampshire County Hospital is one of the best respiratory wards I have ever been in. The staff are so caring and highly skilled. Even when they are stressed and run off their feet they make time for you as a patient. I remember countless nights struggling to breath and nurses would sit with me to make sure I was ok. The care assistants would come and chat and help me learn how to do my sub cut infusions myself. 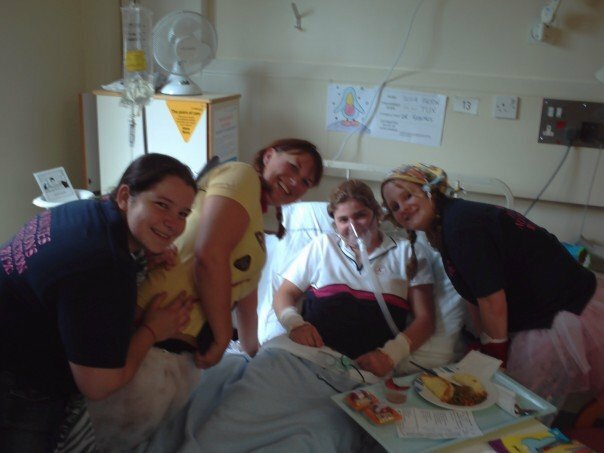 When I was getting better and on that long road of recovery to discharge they would get me helping them out doing the menus and the teas as this was the time many patients had visitors but being at university my friends would come in the day but my family were so far away the nights were hard. I don’t think I have ever really thanked them in person for all the did for me. So knowing that Jeanette was being looked after by them brings comfort. Rest in peace Jeanette. There are 5 others along with Jeanette. They did not impact on me quite as profoundly as Jeanette’s death did and I don’t know why. I think it is to do with all she did for me and what her family did for me. I grieved for the other 5 as you would for anyone. From my own experience of severe asthma and uncontrolled asthma I did not feel particularly shocked that I had 6 friends who have all died from asthma. I think because 4 of them had asthma much like my own. I have had that feeling of not knowing if I can take another breath, or have the energy to continue to fight to breath and wondering if I will survive. It was not until May this year that I really took notice that I should not have so many friends who have died of asthma wether it be very severe or mild. The publication of the National Review of Asthma Deaths shocked me. I was gobsmacked. I knew asthma effected a lot of people but seeing in writing just how many people had died and how many had died needlessly made me sit up and listen so to speak. I realised that my 6 friends who make up the NRAD statistics should not be part of those statistics but should be pursuing their careers or enjoying their grand children. They should not be a memory or that person missing from a family. I hope that in some small way I can help to make a change. Make people stand up and notice asthma. Promote good asthma management. I know that by telling all those at the meeting in Oxford that I had six friends die from asthma hit home. They took notice and saw the real life emotion and impact it has. Researchers can read statistics and know percentages but hearing from someone with asthma who knows what it is like to fight for breath makes so much more impact and hopefully will drive researchers to find ways of understanding asthma better and ways to manage it more effectively. In the meantime I will continue to do my bit. Raise awareness, support research, be part of PPI for AUKCAR and do anything I can to help make the change that is so desperately needed. 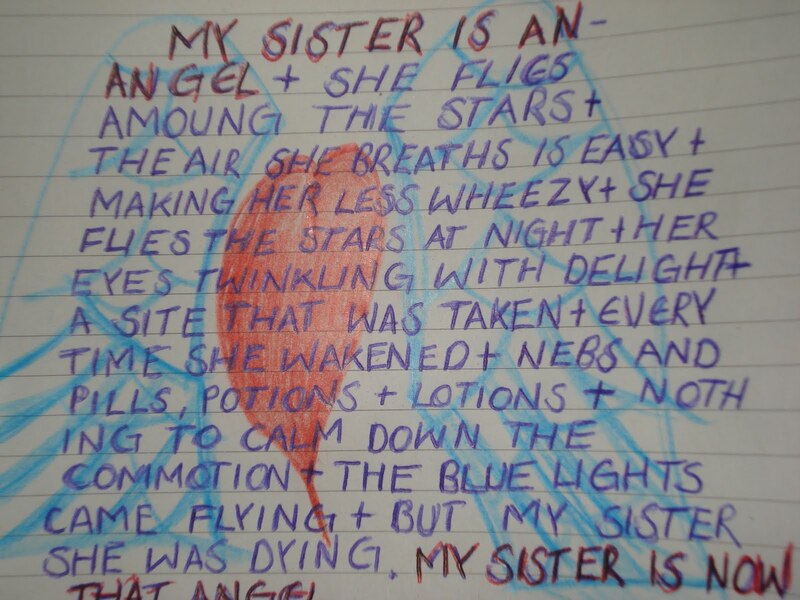 I leave you with this poem written to me by a friend when I was in ITU after an asthma attack. Guest Blog from a great friend Dr Steph! !